Trading systems have a long volatility profile. We’ve often talked about trading systems being a long volatility investment, and that stems from their internal makeup which more often than not looks to risk a fixed amount, while allowing for profits to run. 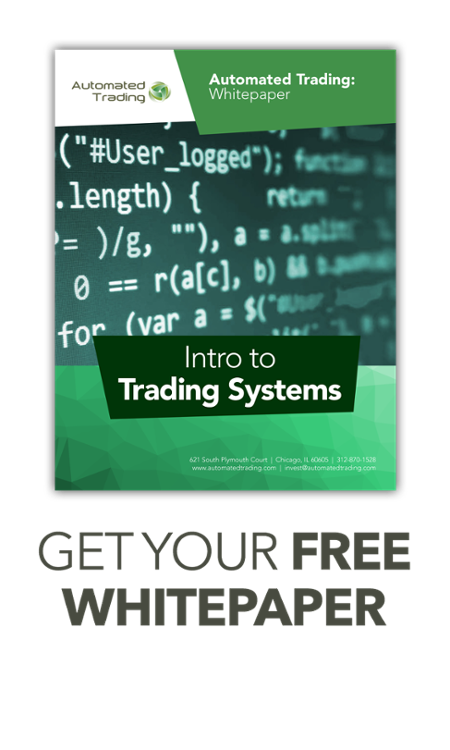 This creates a return profile in which the system will have winning trades between 40% and 60% of the time (much lower than most would expect), but make more than they lose on the winning trades (sometimes significantly more). In times when markets are moving crazily (like 2008), this long volatility profile allows for the system to risk the same amount it always has, but now make several times more than it normally does thanks to the increased volatility. One of the most appealing characteristics of trading systems for the individual investor is that they generally have somewhat reasonable minimum investment amounts between $5,000 and $50,000. On the flip side, trading systems do have some characteristics which some investors may find unappealing. Chief among these are trading systems tendency to be more volatile than their managed futures program brethren, although less volatile than trading futures on one’s own. Because trading systems have nobody actively managing them, they can have larger swings up and down, and can stay “out of phase” longer — causing larger drawdowns. Finally, trading systems have been plagued in the past by often unrealistic hypothetical results. This is usually a result of an overzealous system developer who may have curve fit the program to show an equity curve which goes straight up, or the result of an unscrupulous broker showing results without the inclusion of commissions, slippage (the difference between where the trading system signals a buy/sell, and where the client actually gets filled because the market is moving at the time of the signal). In fact, the iSystems by TradingMotion platform was started with the idea to build a website focused on showing investors how trading systems had really done in client accounts.